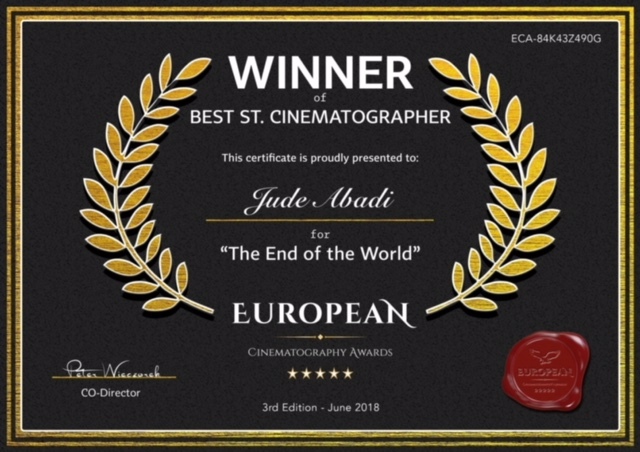 This summer, New York Film Academy (NYFA) MFA Cinematography alum Jude Abadi added a very important accolade to her resume when she won the Best Student Cinematography Award at the European Cinematography Awards. 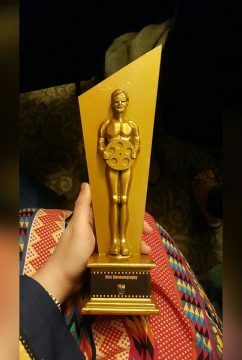 The award was for her work as director of photography on the short film The End of the World. 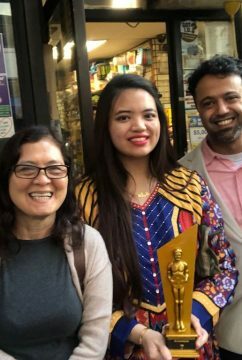 Of the award, Abadi told NYFA that she was “ecstatic.” Abadi enrolled in the MFA program at NYFA’s cinematography school in Fall 2016, an accelerated, conservatory-based graduate program designed to instruct gifted and hardworking prospective directors of photography in a hands-on, professional environment. 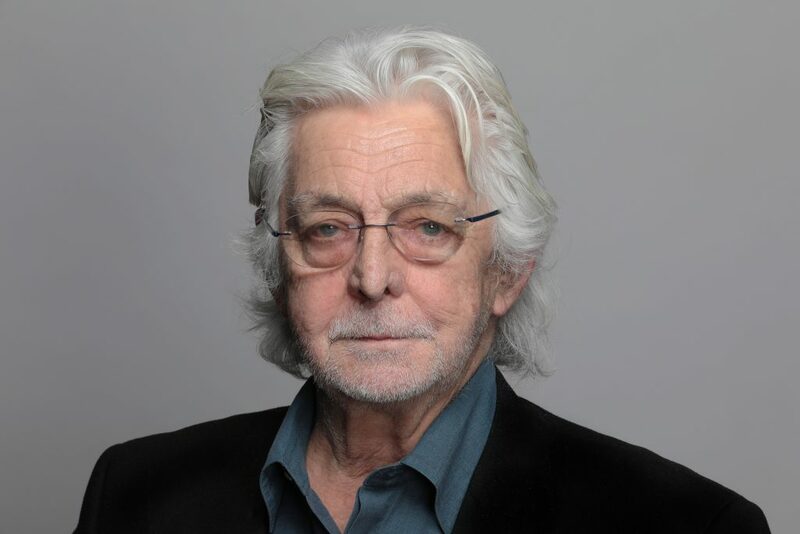 The cinematography school is chaired by Tony Richmond, A.S.C., B.S.C., who has shot many well-known films including Sympathy for the Devil, The Man Who Fell to Earth, and Legally Blonde. The End of the World was filmed in Los Angeles and tells the story of a married couple taken hostage by a crazed stranger, and their attempts to defuse their captor and his inane ramblings. 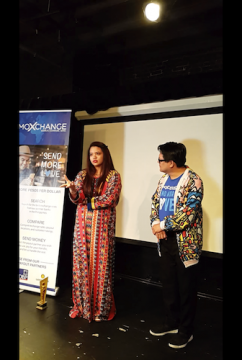 It was written by Nabil Chowdhary and directed by NYFA alum Joshua M.G. Thomas. The film co-stars Buffy Milner, another NYFA alum who has recently written, directed, and acted in the film Type. 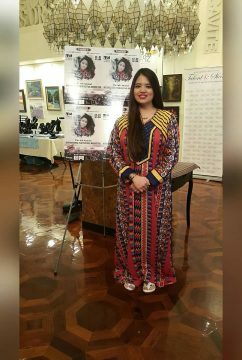 The New York Film Academy congratulates Jude Abadi on her prestigious award and wishes her the best of luck as her career continues forward! Fifty years ago, Jean-Luc Godard filmed an intimate, groundbreaking documentary about the Rolling Stones, capturing the recording of one of their most seminal tracks: “Sympathy for the Devil.” The 1968 documentary shares the same title, though it was originally titled One Plus One before its producers controversially took final cut away from Godard. 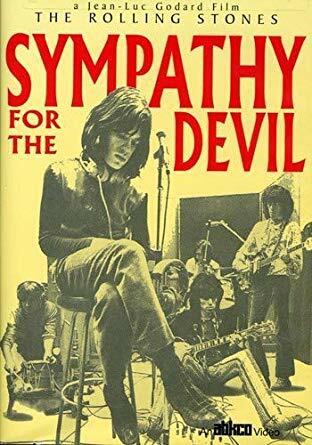 The Museum of Modern Art (MoMA) recently held a limited theatrical release for the 50th anniversary of Sympathy for the Devil, which was kicked off with a Q&A with New York Film Academy-Los Angeles (NYFA-LA) Chair of Cinematography Tony Richmond, A.S.C., B.S.C. Richmond served as Godard’s director of photography on the documentary, and supervised the color grading of the newly restored, 4K version of the film. Sympathy for the Devil was one of Richmond’s earliest films as director of photography. He has mostly worked on narrative features since then, including Don’t Look Now, The Man Who Fell to Earth, The Sandlot, and Legally Blonde. The London-born, BAFTA-winning cinematographer has resided as Faculty Chair of NYFA-LA’s cinematography school since 2015, where students receive hands-on training in the unique visual language of film with state-of-the-art equipment they can use on their classmates’ productions. Sympathy was a landmark moment in rock and roll documentaries, preceding other films like Gimme Shelter and The Last Waltz. Along with a strong political message, the film captured the birth of one of the Rolling Stones’ most famous hits. It was also a turbulent shoot, with legendary French filmmaker Jean-Luc Godard butting heads with his producers, who changed his original ending. As an infamous story goes, at a screening of the film, Godard attempted to screen his original ending outside in the parking lot, and when one of the producers intervened, he punched him in the face. Additionally, some of the film was shot on the streets guerilla-style, without permits. Some shots included jumping out of Godard’s car to film his wife, Anna, spray-painting walls, roads, and vehicles, and then hopping back in the car and taking off before the police arrived. 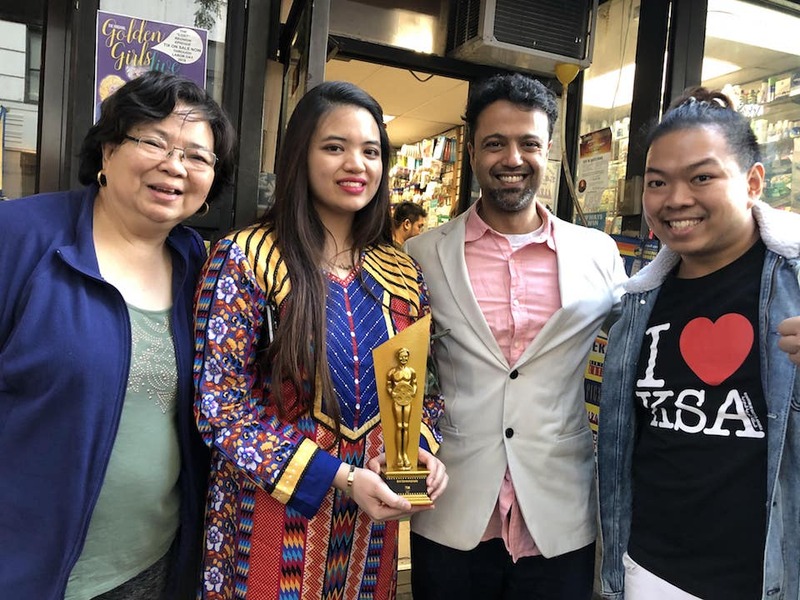 Horacio Martinez graduated from New York Film Academy’s 1-Year Cinematography program last year, but the hard-working lover of film finds education everywhere he goes. That includes everything he learns whole on set, where his work ethic and passion for cinema has made him a valuable asset to any film crew. 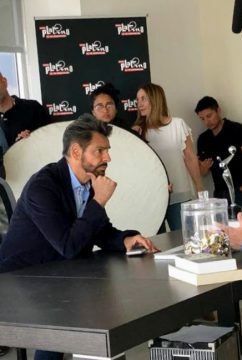 Martinez really spoke with NYFA about his time at the Academy’s Los Angeles campus and his work on a feature film starring Ed Asner as 2nd AC. 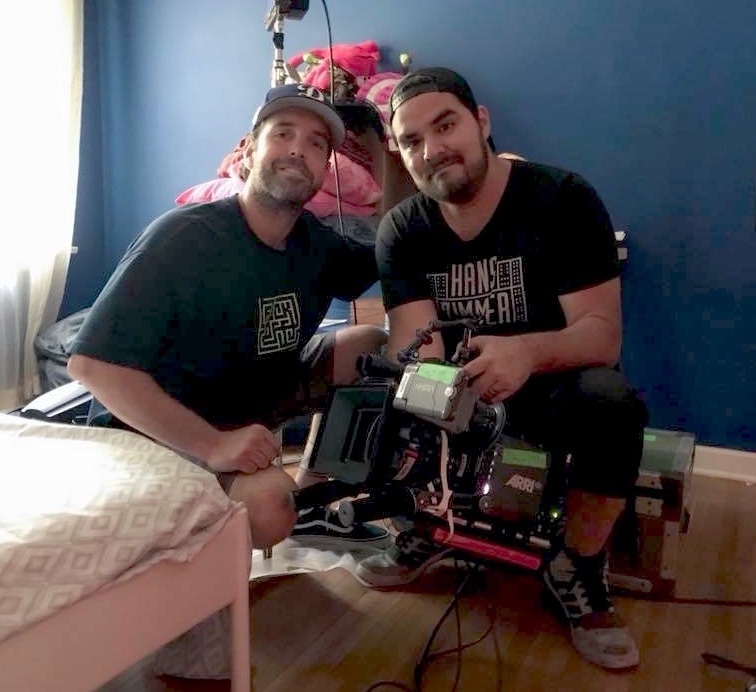 In addition to all the technical skills he’s picked up along the way, Martinez stresses that human relationships between the crew and between fellow students and instructors are just as important when forging your career in film. 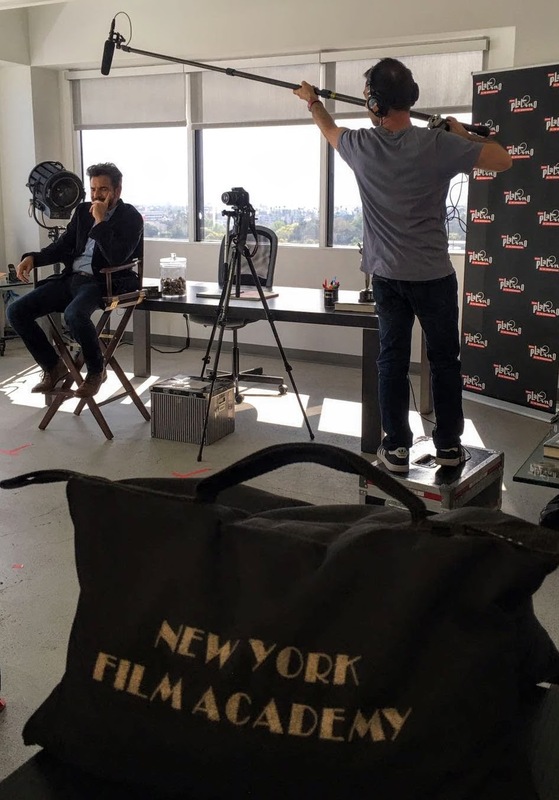 New York Film Academy (NYFA): What was the journey that lead you to the New York Film Academy? 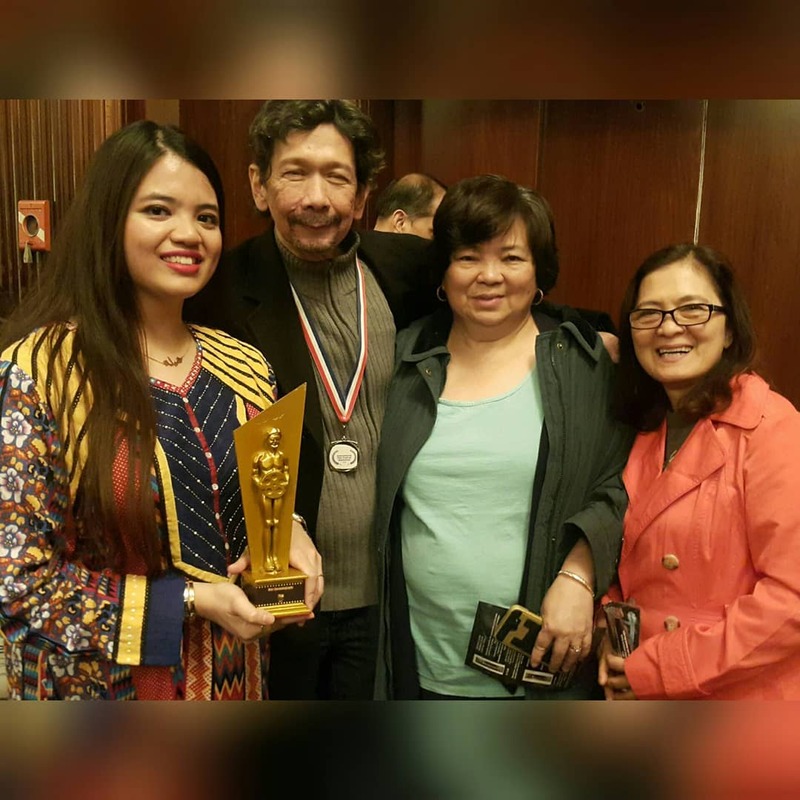 Horacio Martinez (HM): Movies have been a part of my life ever since I was kid. I’ve always related episodes or experiences in my life with films. In my teenage years, I developed a curiosity about photography. 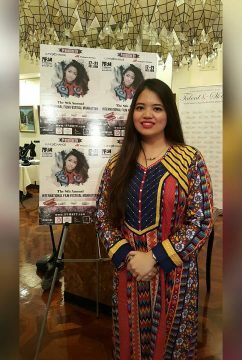 At the same time, I worked as a composer for short films and various behind-the-scenes for photographers and videographers. After I moved to the USA from Venezuela, I explored my passion for photography, doing a lot of Urbex (Urban Exploration). 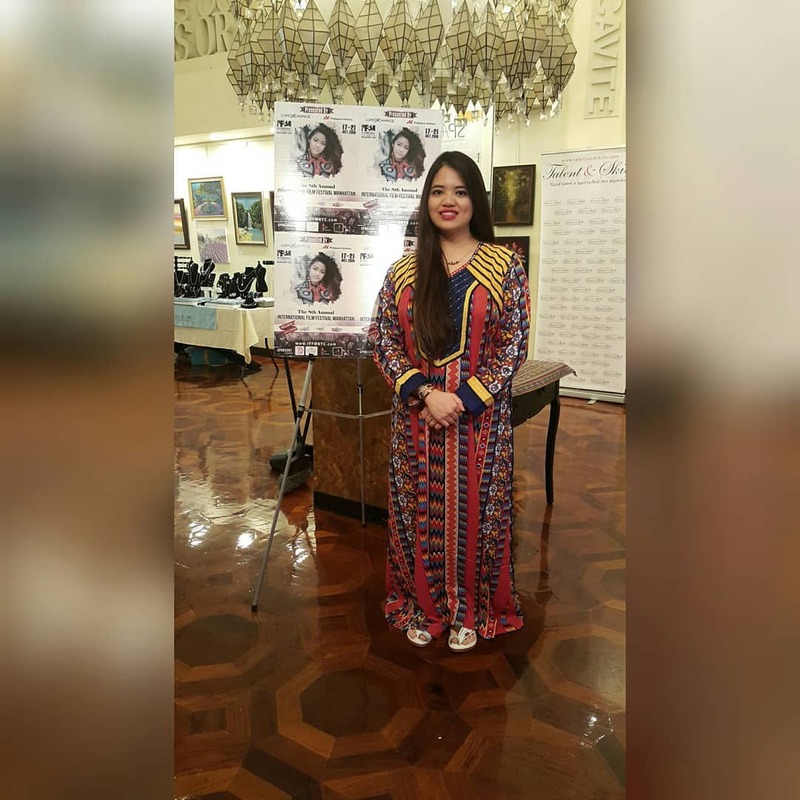 It was a wonderful experience and I got to know every corner of the city. I felt I needed something beyond urban and landscape photography. After doing some research, I decided to pursue my original dream of trying to find a place in the industry of visual storytelling. I found NYFA as my home as a professional, and also as a human being. Cinematography really changed my perception of life, my surroundings, the way I see and analyze problems to opportunities, and everyday life. 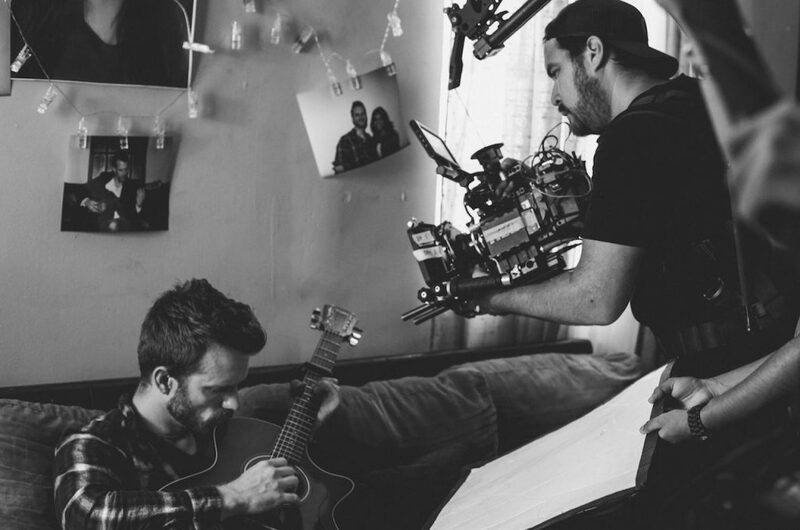 NYFA: Why did you choose NYFA’s 1-Year Cinematography program? HM: Cinematography, in my opinion, is the perfect marriage between technology and art. It is a very passionate career. We have to be chameleons and adaptable. We have to get into people’s minds (in most cases, the director’s) and meticulously dissect their thoughts and ideas, and then translate them into reality with the use of wonderful, amazing tools. Technology can help us in solving problems and achieving a unique look for each film. 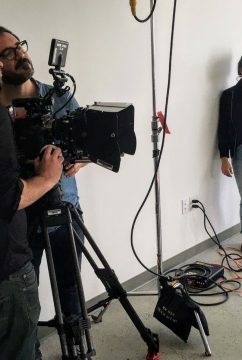 I looked at the instructors, all the subjects and the approaches to cinematography, and found that the 1-Year Cinematography program was a great match. I needed to formalize my education, and open my eyes professionally about the craft itself. Since I’m in my 30s, I am hungry to go out and explore the world of filmmaking and find the right path to success. 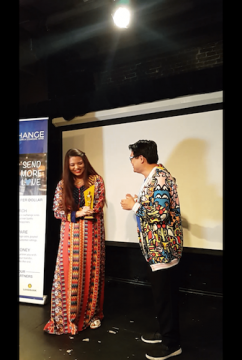 NYFA: What were your favorite moments at NYFA? HM: Getting to know all of my classmates and people from other departments that share the same passion as me about storytelling. Forging relationships and earning people’s respect one day at a time. I loved all of my classes, so it is very hard for me to choose one specific favorite instructor or class. They were all shaping my life as a cinematographer and making me a different person since the day I started. All the classes are of equal importance. All the instructors are very passionate professionals that really care about teaching not only their knowledge, but also personal experiences that really helped me to have a better understanding about the craft of cinematography, and the protocol and relationships in the industry. NYFA: Shortly after graduating, you had the opportunity to work on an independent feature film as the 2nd Assistant Camera (2nd AC). Can you tell us about that? HM: That was an amazing opportunity and I am really thankful for it. 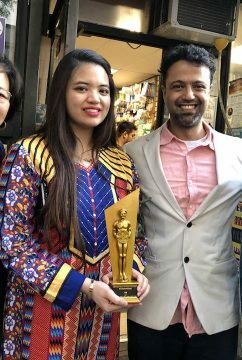 When I was at NYFA, one of my main priorities was to create strong relationships not only between my classmates and fellow students, but also between me and the instructors. In this case, Anthony B. Richmond ASC, BSC called me on a Saturday afternoon, asking me if I could join his son Gaston on a low budget feature film starring Ed Asner. I immediately said yes. At first, I couldn’t believe that I got a personal phone call from Tony himself asking me if I could work with his son. Everything turned out amazing, and I really learned a lot about all the duties of a 2nd AC in the real world. Of course, what I learned at NYFA was a huge influence on my workflow. 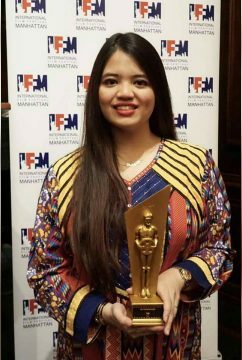 NYFA: As the 2nd AC and media manager, what were your responsibilities on the film? HM: My first priority was to be invisible. That’s a thought that I always had with me while working on set. Invisible to the point that I had to make the 1st AC’s — Gaston Richmond’s — job easy. I had to keep the department afloat. Everything has a domino effect. If one tiny little thing breaks, falls, or is not charged, then the department could be delayed big time, so anticipation was key. I also needed to keep the camera in order, keep all the batteries charged, keep track of all the rolls that we shot and what day they were shot. When things flow smoothly, it’s thanks to order, organization, and protocol. I also had to change lenses in extreme situations, and change camera magazines. I had to run blocks and blocks down the street during a massive heatwave in order to back up the files to three hard drives at the same time, while keeping in constant communication with the Sound Mixer to also get the sound files and back them up in the proper way. Gaston was a great mentor, and I really learned a lot from him. He gave me great support, and helped me keep things in balance with the thousands of details that people assume are going to be taken care of. It is true that no one is going to tell you how to do your job at first, but I saw that as an opportunity to show them who I really was and all that I knew. NYFA: Were there any specific challenges for the camera department on this film? How did you handle those issues? HM: There were a lot of challenges like I mentioned before, but being a 2nd AC is a challenge itself. You are the base of the camera department, the one that keeps everything running smoothly. If you take care of the details, people will trust that you will do your job. My first focus was to have a great relationship with my department. We are a team, and we all wanted to have things moving forward smoothly. My relationship on set with Gaston (1st AC), was really important since he and I were working so closely. As I said, he was very reliable, incredibly supportive on set, and a great guy with a great personality. 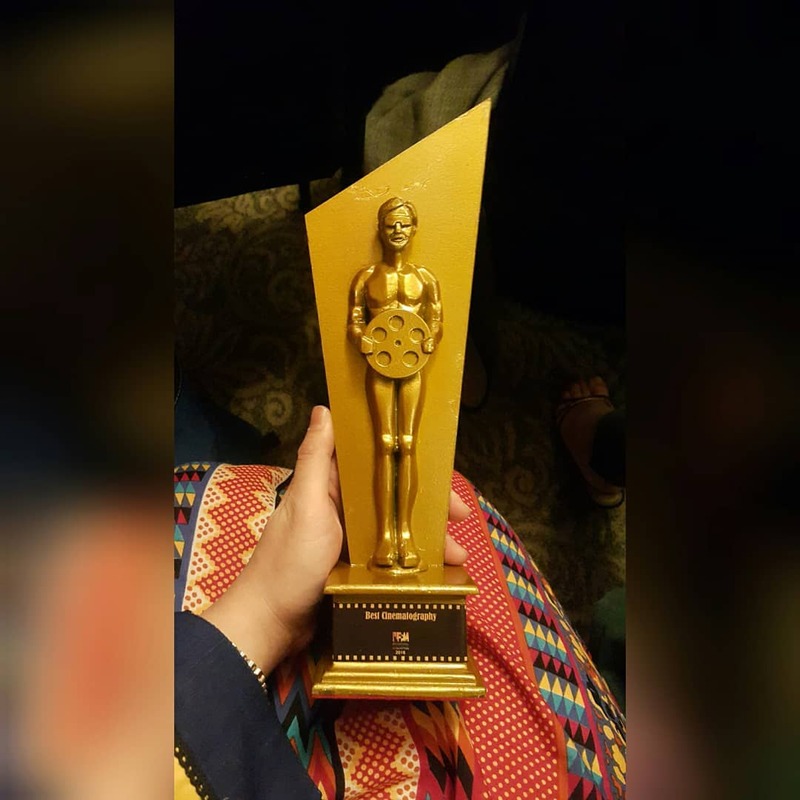 With a good attitude and always keeping our cool, we solved any challenges that we had to overcome. It is also extremely important to have a good relationship with every single department on the project. You never know when someone will have to help you, and basically save your life. I also offered myself as help to other departments when needed. Life on set is not easy, it is basically creating art out of chaos. That’s why it is extremely important to have good relationships with everyone, have a great attitude, a good sense of humor. Be humble at all times, and ask for help when you need it. These factors will help you overcome all the challenges on set. NYFA: Did your classes at NYFA prepare you for working on a professional set? HM: Definitely. 100% of the material, cinematography practicums, and classes that I had at NYFA were of huge help, especially when it came to actually knowing my role. You have to respect the protocol of communication between members of your department, and with other departments as well. I never felt out of place, and I spoke the same language as the DP. This was especially helpful when we had to be very technical, with camera resolution, lenses, filters, white balance, etc. NYFA: What advice would you give to current students about starting their careers? HM: Never doubt yourself. Always be yourself. Be willing to learn, because one of the most exciting things about this career is learning about new technologies, developing skills to solve problems, and experimenting with different looks. This is not a 9-to-5 career, and every day is not the same. The challenge is how to adapt ourselves, and use our personality and creativity to leave our mark and identity in the visual story we are telling. NYFA: What projects do you have coming up next? 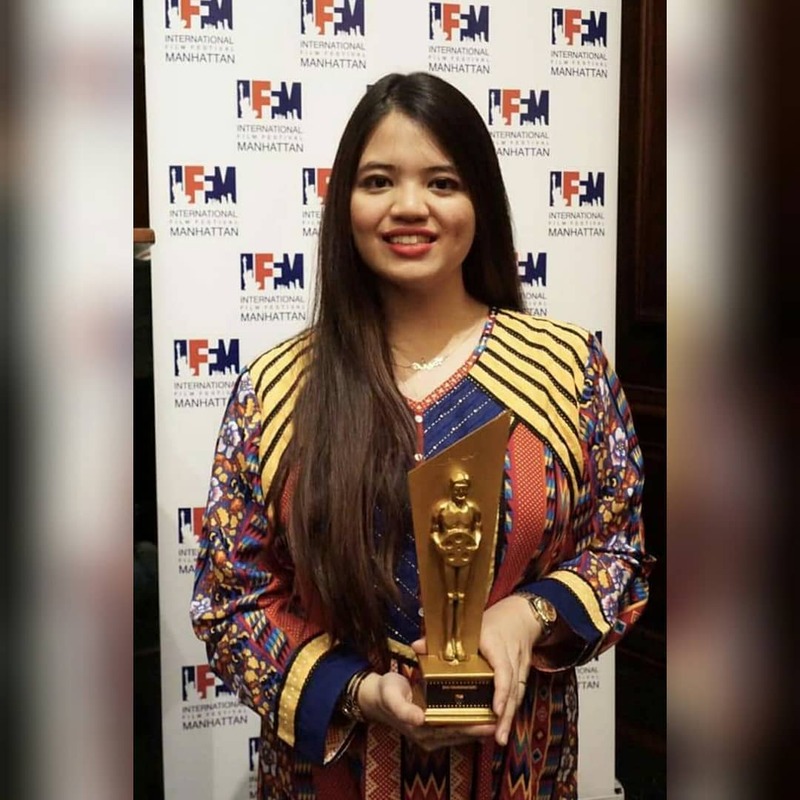 HM: Right now, my mission is to join projects that will help me develop my skills and become a better professional. I hope to join the camera union (Local 600) in the near future. I want to learn, I want to meet people, and create bridges and relationships. In the meantime, I am prepping a music video and a couple of short films with great directors, all of them out of NYFA. 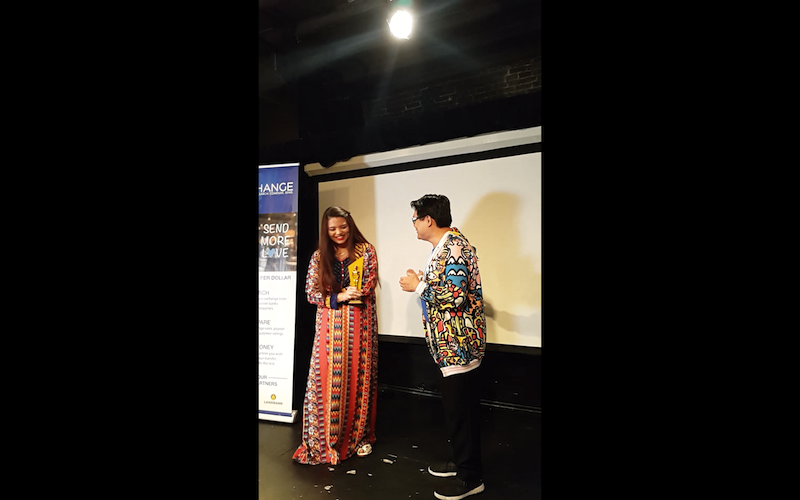 The New York Film Academy thanks Horacio Martinez for speaking about his experiences and looks forward to the future successes his drive, passion, and hard work will undoubtedly bring him! 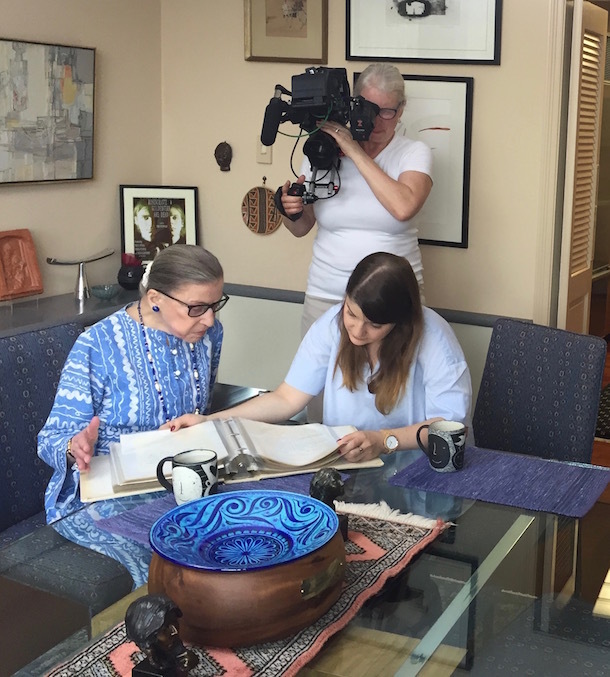 This year’s breakout documentary, RBG, shot by Director of Photography and NYFA Documentary Department Cinematography Instructor Claudia Racshke, tells the story of Supreme Court Justice and surprise millennial icon Ruth Bader Ginsberg (aka “The Notorious RBG”), The Flatbush, Brooklyn-born Justice was appointed by Bill Clinton in 1992, becoming only the second female to serve at the highest federal court in the United States. 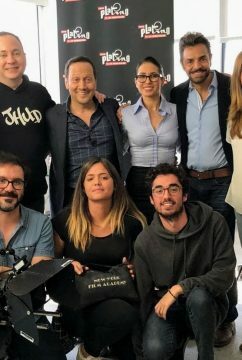 When the film premiered at the Sundance Film Festival, we highlighted Claudia on the NYFA blog, and Filmmaker magazine also featured an interview. Sundance and American Cinematographer spotlighted her on their “Women Who Shoot” panel. MovieMaker magazine also ran an article exploring her equipment preferences. And why not? Claudia’s previous work has already been nominated for Academy Awards four times, and has won a Peabody, a DuPont, and a National Board of Review Award, among many others. She has worked on such acclaimed documentaries as My Architect, about Louis Kahn, Mad Hot Ballroom, which focuses on a New York dance program, and Small Wonders, which documents a music teacher in East Harlem. 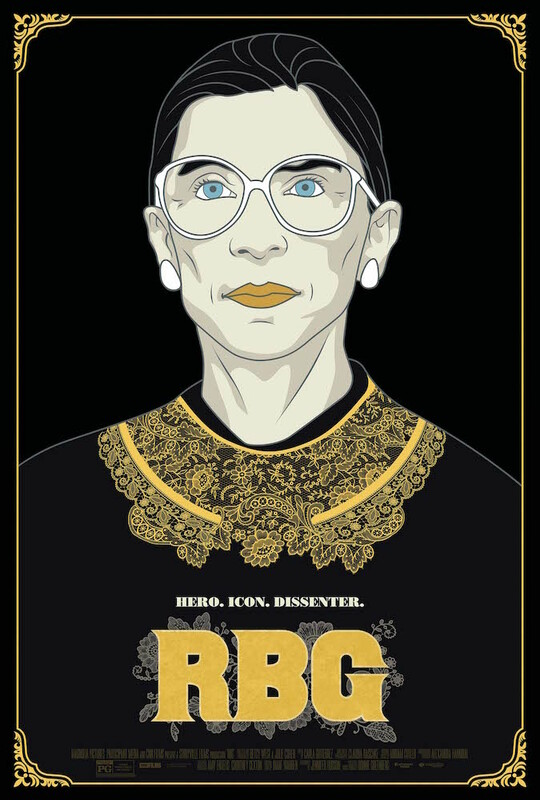 On its opening weekend, RBG scored the second-highest-per-screen average at the box office, second only to Avengers Infinity War. 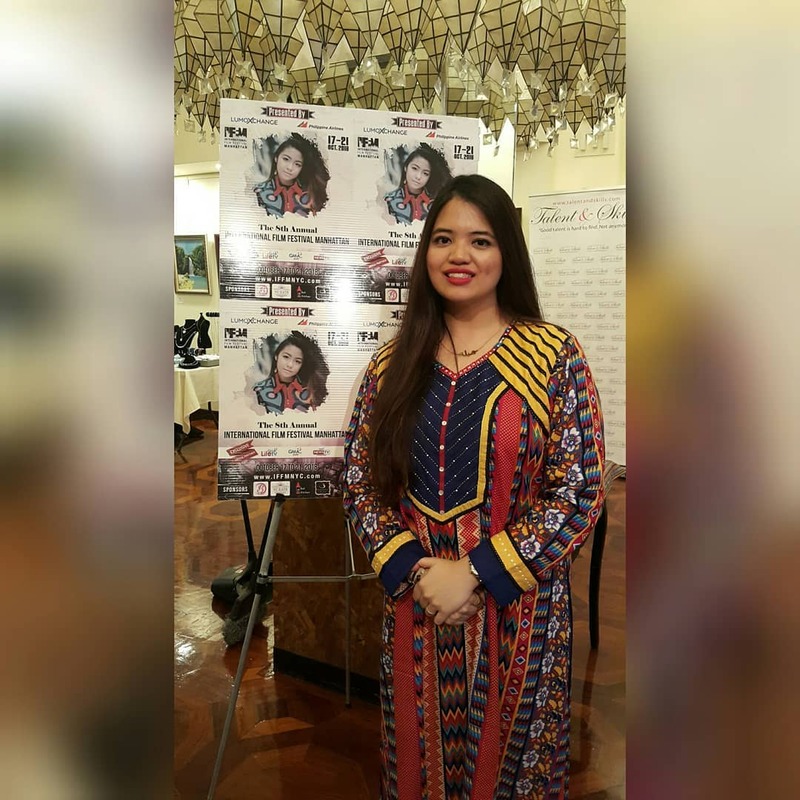 The film has also earned a 93 percent Fresh rating from review aggregator Rotten Tomatoes. It then spent the next three weeks among the Top 10 overall Box Office earners, holding its own in the company of blockbusters like Avengers: Infinity War, Ocean’s Eight, Black Panther, Solo: A Star Wars Story, Deadpool 2, and A Quiet Place. Claudia Raschke with Ruth Bader Ginsberg. 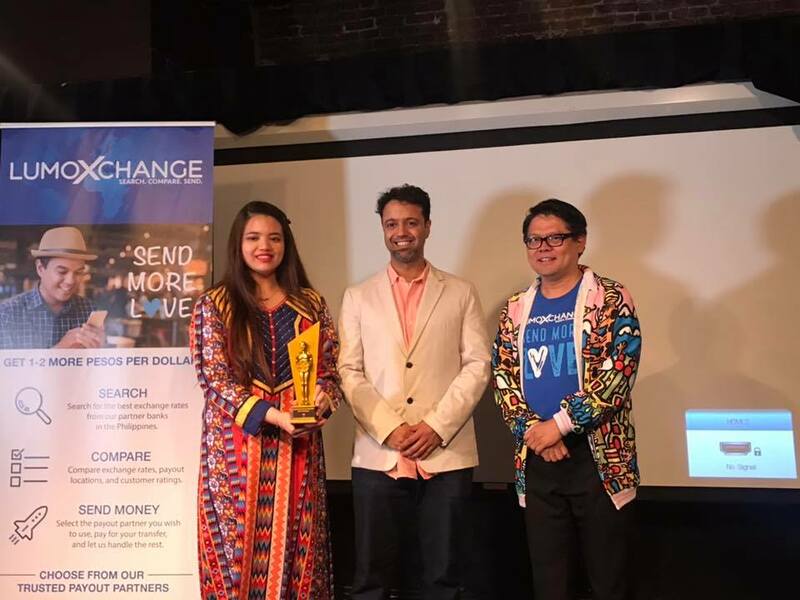 Photo provided by Claudia Raschke. RBG has also already worked its way amongst the 25 highest-earning documentaries in history, and its run is far from over. 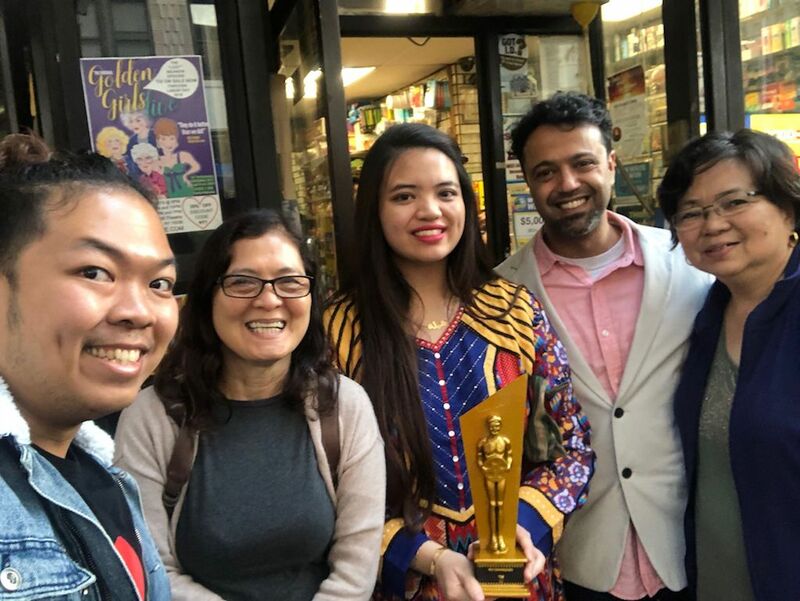 NYFA would like to congratulate its Documentary instructor Claudia Racshke on her impressive work on an already important film. 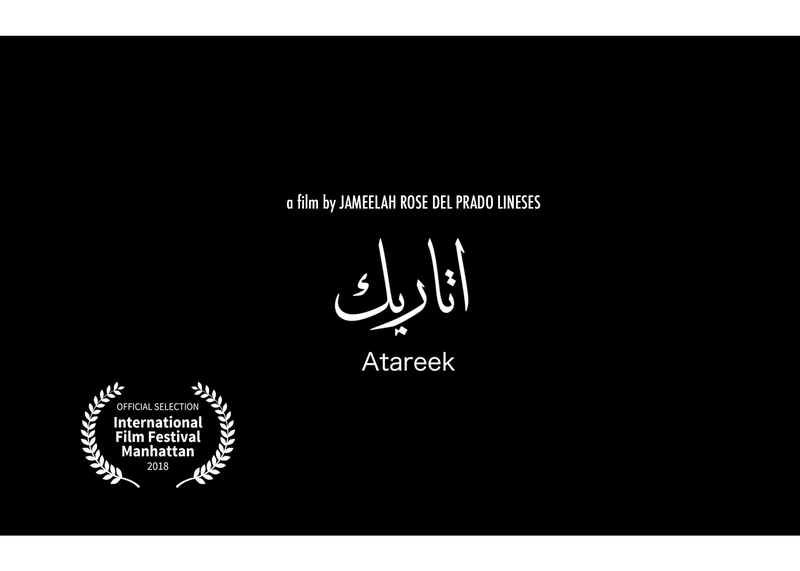 You can watch the official trailer below. 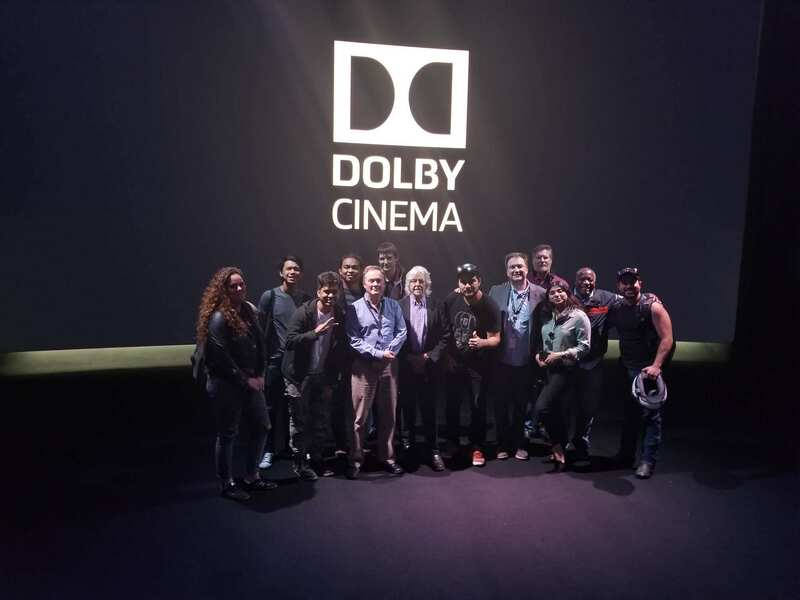 Graduating Cinematography students in the New York Film Academy Los Angeles MFA and 1-Year programs participated in a recent field trip to Dolby Laboratories to see the cutting-edge of theatrical projection. NYFA Los Angeles Cinematography department chair Anthony Richmond, ASC, BSC set up the visit. During the trip, NYFA Cinematography students were introduced to some of the technical aspects of Dolby Vision, and had a chance to see the color correction process in Dolby’s state of the art theater. Students asked questions of the Dolby staff, and got to see some of the possibilities available to shape the look and finish their images. The trip gave these recent graduates a look at some of the latest innovations that they will be seeing in the industry very soon. Best known for their work in the audio field, Dolby has recently introduced a new system for high-dynamic-range (HDR) projection in the cinema. Dolby Vision makes it possible to project images with a dramatic 1,000,000-to-1 contrast ratio, creating a far bigger range of brightness than previous projection standards. Dolby simultaneously introduced a proprietary color correction system, creating a pipeline that will optimize films to take advantage of these new projectors. Recent blockbuster films including Incredibles 2, Ocean’s 8, Solo: A Star Wars Story, and Jurassic World have been early adopters of this new technology. Anthony Richmond recently employed Dolby’s new process in the color correction for the 4K restoration of the classic concert film The Rolling Stones Rock and Roll Circus, a film he shot for director Michael Lindsay-Hogg in December 1968. The film features performances from the Rolling Stones, The Who, John Lennon, Eric Clapton, and other iconic musicians from the British music scene of the late ‘60s. Richmond advocated for using Dolby Vision for this restoration, conducting a test to demonstrate the advantages to the producers. When Richmond showed them the results, they agreed that using the Dolby process would be an essential part of the restoration. The film will be released on September 27 for both Dolby Vision blu-ray and a limited theatrical release. 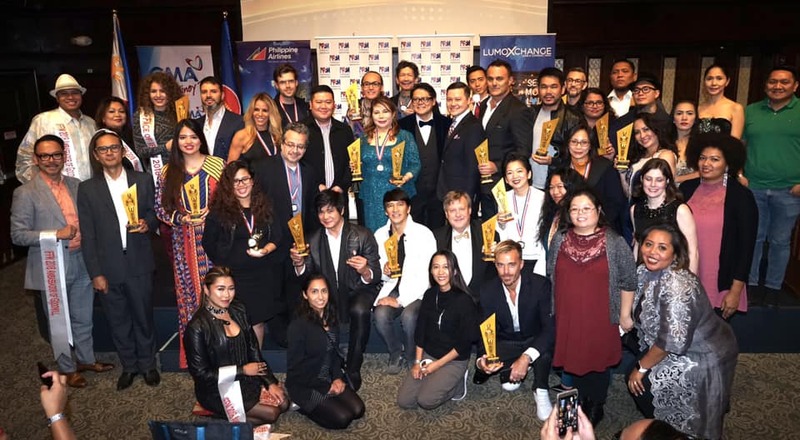 The New York Film Academy Industry Lab participated in the production of the fifth edition of the Platino Awards, which was celebrated April 29 at Riviera Maya and broadcast to more than 60 countries. 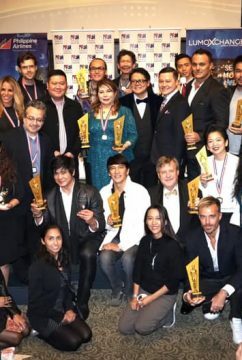 The Platino Awards have quickly become the Oscars of the Spanish and Latin-American film industry. 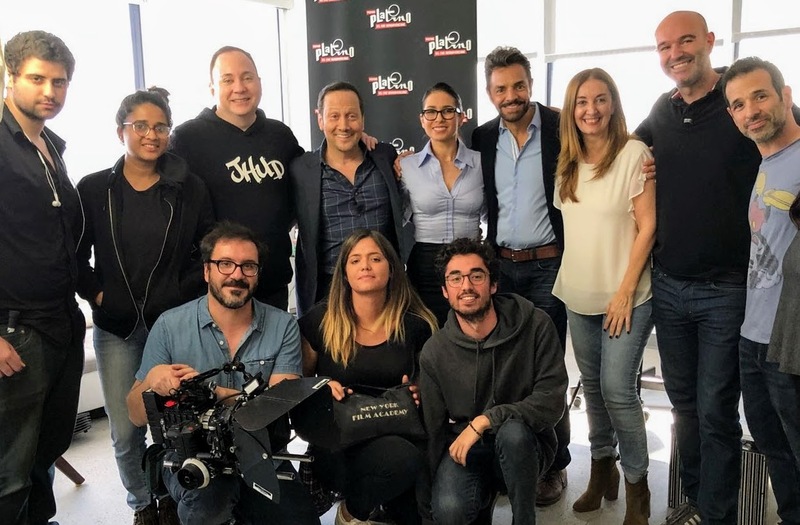 The New York Film Academy team shot a comedy sketch written by and starring Eugenio Derbez (Overboard, How to Be a Latin Lover, Instructions Not Included), and Rob Schneider (Saturday Night Live, Grown Ups, Don´t Mess with the Zohan). 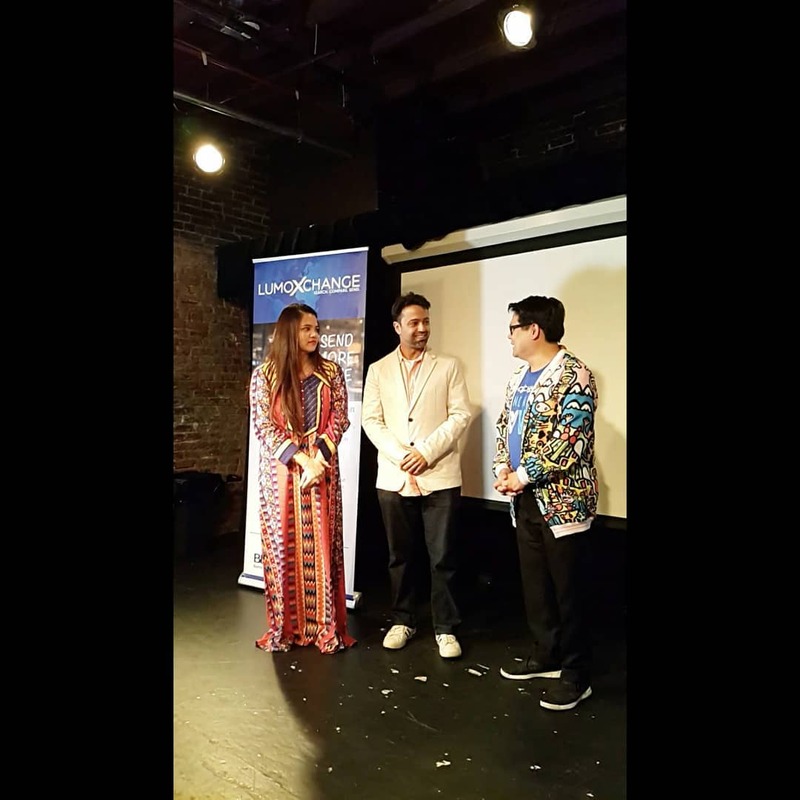 The premise of the sketch was built around the clichés that Latin artists face when crossing over into the American film and television industry. 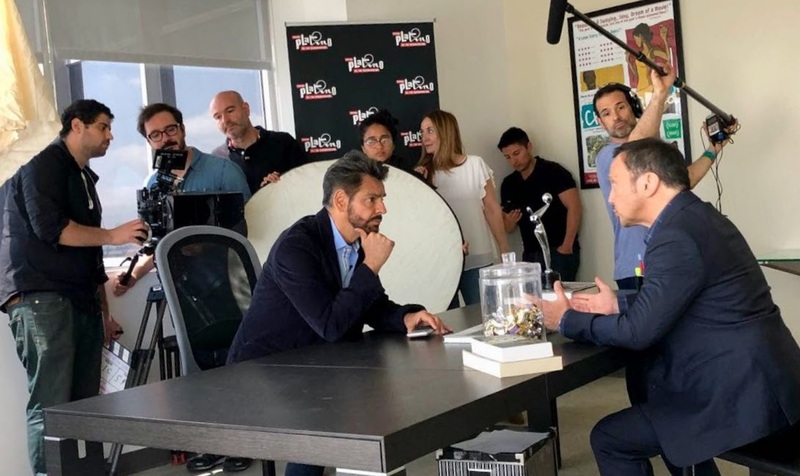 Based on Derbez’s recent success in hits such as Overboard and How to be a Latin Lover, this hilarious sketch focuses on Rob Schneider wanting to cross over to the Latin market and being asked to audition by Derbez for all sorts of stereotypical characters. The sketch was directed by Spanish comedy director Miguel Cruz (Aída, CaigaQuienCaiga). Cruz is also a senior acting instructor for sitcoms and drama at the New York Film Academy Los Angeles campus. The Industry Lab was proud to offer equipment and production services for this groundbreaking sketch. 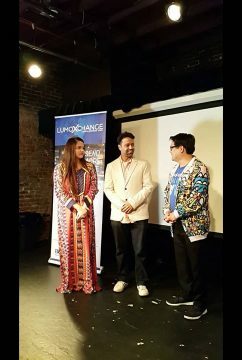 NYFA Cinematography alumni Mridul Sen and Filmmaking alumni Fady Elmankabady were able to work as Gaffer and AC, under the guidance of Spanish Director of Photography Jon Aguirresarobe, son of renowned cinematographer Javier Aguirresarobe (ASC). The Industry Lab is a production services entity of NYFA, offering equipment and crew support for professional productions. Our Industry Lab members have excelled in all aspects of production which enables them to acquire real world experiences. 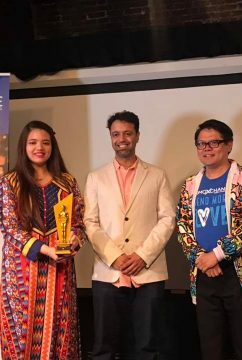 The New York Film Academy would like to thank Rob Schneider, Eugenio Derbez, the Platino Awards, and the students of Industry Lab for putting together such an incredible event and hilarious sketch. 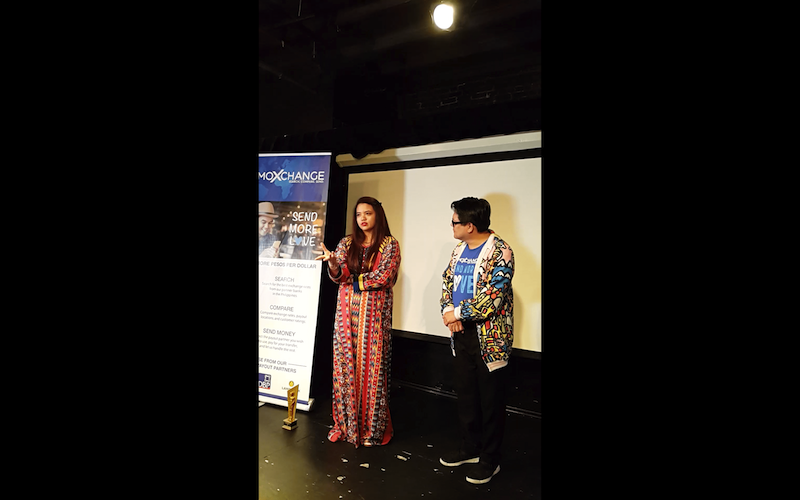 New York Film Academy Chair of Cinematography Tony Richmond recently hosted a special screening of his film Men of Honor for New York Film Academy students at the Los Angeles campus. Rather than a formal Q&A following the film, Richmond encouraged his students to join him in an intimate conversation. Richmond is well known for his cinematography on beloved classics including The Sandlot, The Man Who Fell to Earth, Don’t Look Now, Legally Blond, and Alvin and the Chipmunks, yet Men of Honor has a special place in his heart because both of his sons worked on the crew with him. Based on a true story, Men of Honor follows Navy diver Carl Brasher, the first Black man to become a U.S. Navy Master Diving Instructor. Extraordinarily, Brasher was able to passe the qualification test to become a master diving instructor with an amputated left leg. 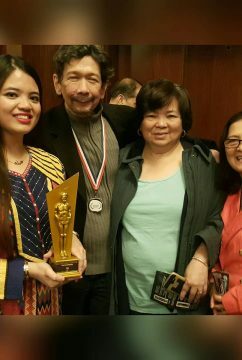 It’s an inspiring film that earned numerous award nominations. Filming underwater presented a lot of fun cinematography challenges for Richmond. 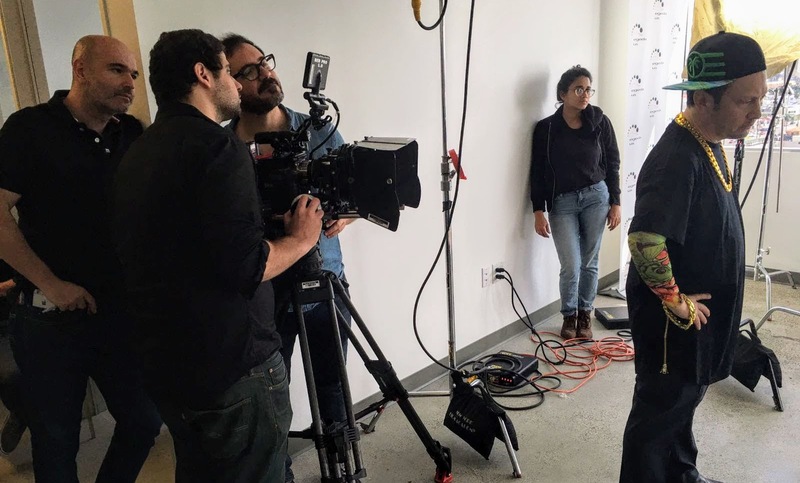 Some of the behind-the-scenes stories he shared with NYFA students included the creation of an eight-foot-deep pool to accommodate Richmond’s photography, and rigging Cuba Gooding Jr.’s diving helmet with lights. Students were curious to hear how Richmond was able film underwater with such clarity. Richmond explained that finding a good lighting balance was the most important element. In order to give the tank a realistic feeling of the ocean, silt, the fine sand found in ocean water, had to be added. The location was on the seventh floor of a beautiful old building, but because of its age Richmond couldn’t set up a lighting rig inside. Instead, everything had to be lit through the windows. The New York Film Academy would like to thank Tony Richmond for taking the time to host Man of Honor and speak with our students. To learn more about the Cinematography programs offered at the New York Film Academy, click here.